The Support Services Division of the Vancouver Police Department had long been aware of the shortcomings of manually maintaining organizational charts. The charts were recognized as essential to many significant aspects of its business practices. With its ever- changing but essential mandates, the Department has relied on organizational charts for past historical reference, its immediate benefit to the Department and the membership, and its objective data provision for future planning. Organizational charts have always had a basic role to play in the Department, similar to any major company and organization. The charts serve as the “map” of the company – the planning grid/layout for change(s) i.e. restructuring within the company – the identification of who resides where, within structures of simple to complex hierarchies – the location of financial costs i.e. cost centres – the notification cue and confirmation for “change management” initiatives. The Department had long relied on labour-intensive manual charts. While those with access could retrieve SAP® organizational charts, the traditional more graphic design of “boxes” was the preferred mode of organizational conveyance. Further, most of our police members do not have that kind of access to SAP. Over the years, it was recognized that manually-maintained organizational charts fell seriously short on every front – accuracy, timeliness and reliability became apparent and obvious casualties of this less than ideal business practice. We knew we had to find an electronic solution that would work with SAP, and would work with and through the “fire walls” necessitated by Police Act-determined confidentiality. Serving a growing, progressive city such as Vancouver (2010 host of the Winter Olympics), the Police Department has grown, and evolved every step of the way to meet the challenges of maintaining public order, upholding the rule of law, preventing crime and responding positively to diversity and change. The Vancouver Police Department has developed a reputation of being one of the most progressive and innovative police departments in North America. Its stated goal is “nothing” short of making Vancouver the safest major city in Canada by providing levels of service that routinely go “beyond the call”. The history of the Vancouver Police Department begins May 10th, 1886 when the first Chief Constable was appointed. At the time of implementing org.manager, the Department had approximately 2,200 members, both sworn and civilian, most regular full time, with several specialized groups of temporary and casual personnel. The Department was comprised of three main divisions –Operations, Operations Support and Support Services. These divisions house approximately 30 distinct sections with a large number of separate units, squads, teams and a variety of special program operations. 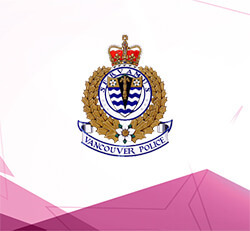 One of the key features of professional life in the Vancouver Police Department is that the sworn members change assignments and are transferred with regular frequency. This enables a fuller, more rounded training of our sworn members, providing diversified experience, which benefits the City they serve and benefits their individual careers. The Human Resources Section initiated the project, in partnership with the Department’s IT Section and the City of Vancouver’s SAP technical advisors. The SAP Performance Development expertise resided in HR and the technical expertise resided with our IT professionals. Our first goal was the basic “electronification” of the SAP organizational chart into graphic traditional “box form” design i.e. we had to find the right software. The SAP main system resides in the City of Vancouver with the VPD, in separate location(s), as a satellite client. The VPD has its own unique “fire walls” and its own unique secured Intranet. We had to ensure our SAP records were in order e.g. “chief hats” in place. Secondly, we had to identify the special features that were unique to the Police Department that we wanted displayed in our graphics e.g. tenure in position, work sites, PIN numbers. Our biggest challenge was to accomplish this in short order as we had a very small window of opportunity both from a financial and support availability perspective. After a lengthy search for the right software, Ingentis ultimately led the way with its initial demonstration, its follow up, and approach. Although the company was located in Europe, we still unanimously supported Ingentis as our best option to move forward. Ingentis had the right software, the right expertise, the right team of people, and the right cost, – all essential in instilling the necessary confidence to immediately begin. Moreover, we felt very comfortable at the very outset that Ingentis would stay with us every step of the way, ensuring all our requests were met and that the results would be successful. Ingentis provided their formidable insight and expertise at every move – the design, the data, the colours, and the possibilities for more. There was never any sense of distance between us i.e. we worked closely together as was required. Our HR Team is now trained in the basics of setting up data and to act as day-to-day editors and maintainers of Ingentis org.manager. We learned how to use Excel spreadsheets to incorporate data that is not in relationship to position objects e.g. work sites. This would prove very valuable to us for future developments. Everything that was promised was delivered and then some. Immediately after the essential design and data selections were determined, we soon were looking forward to having the second option of organizational charts with photos at our fingertips. We were able to establish a more restricted and exclusive access for our charts with photos. This was yet another testimony of the scope and flexibility of Ingentis org.manager. The response to our new electronic charts was overwhelmingly positive. The implementation was smooth, cost and time efficient, and dramatically successful. HR is still receiving kudos, many months after the fact. Now everyone in the Department fully relies on the accuracy of the data they are reviewing, knowing it is up-to-date as well. We have fully retired the task of manual entry from our HR support person who is now dedicated to other important tasks. Clearly, the Ingentis software is the hero of this development and we are the very satisfied recipients. Currently, we are working on the second phase of our project i.e. the development of graphics for the particular use of HR. It is our intention to have graphics that incorporate salient data that is over and above the usual of organizational charts data i.e. age, birth date, years of service, and gender, to name a few. The possibilities for this development are extraordinary and we envisage tailored graphics for our Financial Services Section, and our Planning and Research Section. We are also now in discussion as to how we can use this software in relationship to our Performance Appraisal (Phase III) i.e. skills, qualifications, second language abilities, education etc. All our reasons for choosing Ingentis stand solid. In fact, it can rightfully be said that the Ingentis group possess the very same values as our Department – integrity, professionalism, accountability and respect. We look forward to a long partnership with Ingentis.